Last week my wife and took a two day vacation to Vermont in order escape fast paced New York City and have some fun. Before we left we agreed to spend one day visiting more touristy places and the other day visiting beer related places. While the beer-related activities began on the evening of the first day, we both had fun prior to their beginning. First we went to the Vermont Teddy Bear factory and though we didn’t end up buying a bear, it was still a fun experience to see the bears being made and the level of quality and artistry that goes into each one. We then headed to the Ben and Jerry’s factory for yet another fun tour. Afterwards we each enjoyed a scoop on the outdoor patio (I got Hazed and Confused, one of their “Core” flavors) before heading to Craft Beer Cellar, a craft beer and homebrewing store in Waterbury. I should note that I was advised to visit this store by Bitter and Esters owner John LaPolla and informed that one of its owners is a former Bitter and Esters employee. Overall, I was quite impressed with the store’s selection and was able to pick of some great beers to try (see video). Of note, I picked up 3 beers from Jack’s Abby Brewing, a lager focused brewing whose popularity has been growing rapidly recently despite only distributing to a few states. Before heading to Pinecrest Motel and Cabins for the night we walked around the corner to enjoy some beers at Prohibition Pig, a brewpub located on the site of the former Alchemist brewpub. While there I enjoyed 3 great hop forward beers (see video) and chatted with the owners and bar patrons about both the Vermont and NYC craft beer scenes. Being that we needed to drive over an hour afterwards, we made sure to not get carried away with our conversations and left just before dark. However, despite doing so we got a bit lost along the way and pulled over to figure out how far off our route we’d driven. Thankfully a Vermont local saw our flashers and gave us directions that helped us get back on track and arrive at our destination within and hour after our intended arrival time….Check out the above video to see why we wish that we could have stayed at Pinecrest Motel and Cabins for longer. Upon waking up on the next morning we packed up our stuff, took some time to explore the area near the cabins, and ate a quick breakfast. 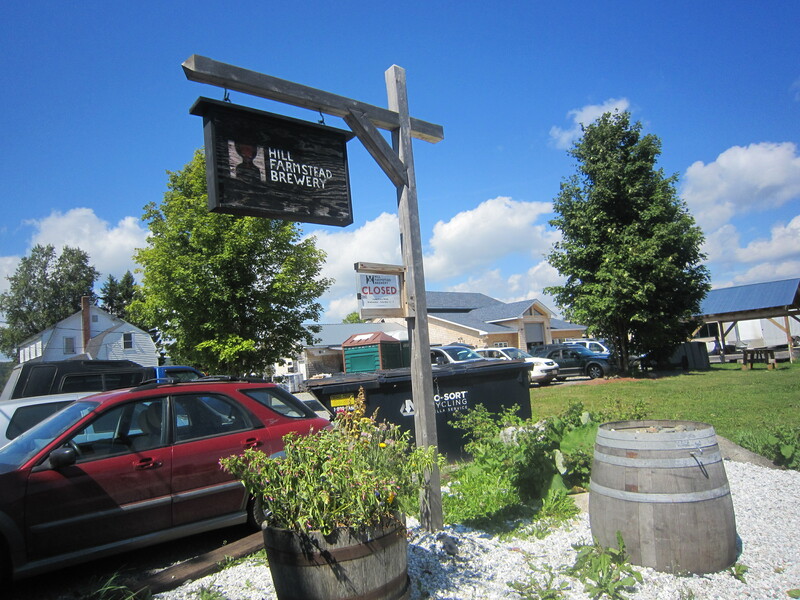 It was then time to visit Hill Farmstead Brewery, a brewery that is for many, a craft beer mecca. After getting a bit lost due to google maps not listing the correct road/s up to the brewery, we arrived and saw that there was already a line of fellow craft beer drinkers waiting to get their fill of some of Shaun Hill’s sought after beers. Luckily, we didn’t have to wait on line too long and got to sample 4 beers while chatting with those in front and behind us on the line. As a beer blogger I would have liked to interview Shaun, but he was busy brewing an IPA and I was only able to chat with him for a couple minutes before he had to get back to brewing. However, in those couple of minutes I gave him 2 bottles each of my tripel and imperial saison and am eagerly awaiting his feedback. Thankfully I was able to stick to my $100 budget and buy 4 beers and 3 glasses. Three of four beers were double IPAs (Abner, Friendship & Devotion, and Society & Solitude) packaged in 750ml growlers, and the fourth and most expensive beer (Civil Disobedience #10), a barrel aged saison in a 750ml bottle. Overall, it was great to finally experience the pilgrimage to Hill Farmstead that many of my fellow NYC craft beer drinkers have spoken so highly of, meet Shaun Hill, and see the expansions to the brewery being built. 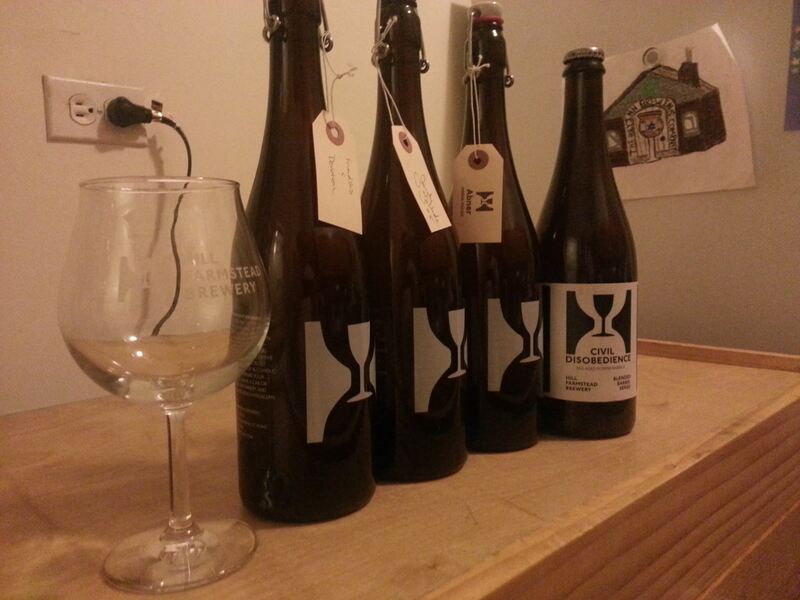 I hope we visit Hill Farmstead again sometime and interview Shaun in his expanded brewery. Click here to see my photos (some are in the video above) from this visit. In my next blog post…an update on my Bohemian Pilsner aka Lion’s Roar Pilsner. This entry was posted in Uncategorized and tagged Bitter and Esters, craft beer, Craft Beer Cellar, hill farmstead brewery, hill farmstead civil disobedience, hill farmstead expansion, homebrew shop, Prohibition Pig, Vermont. Bookmark the permalink. You really missed out by skipping Fiddlehead Brewery, just a few minutes up the road from the Teddy Bear Factory. 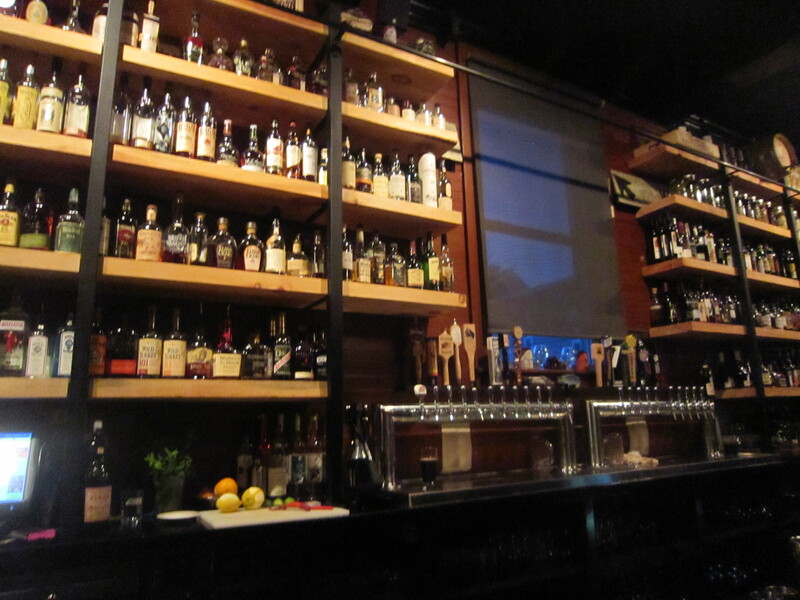 It’s attached to a great pizza place where you can BYOB from the brewery (and refill before you leave). They often have cans of their better beers available as well. I really wanted to go to to Fiddlehead, but we were already running late after leaving Vermont the Teddy Bear Factory. I’m sure I’ll be going to back to Vermont again at some point. I’ve tried a couple of their beers in the past and enjoyed them. Cheers!